We all may have witnessed the recent booming era of advances in mobile technology and felt the urge to use the same for our businesses and workplaces. As a result, smaller business setups often give into the impulse to cut the landline chord in order to save some more money. However, the decision often turns out to be less than useful for businesses. Whether you’ve just begun with a startup and are evaluating your options for office phone systems or, you’re an accomplished businessman reconsidering your landline, money should be the last thing on your mind while evaluating the benefits of the device. After all, saving money can’t be important enough to sacrifice successful business growth. For establishments staffing a large number of employees, depending solely on cellphone technology could turn out to be risky. Many booming organizations recommend employees and firms not to leave out their office-based landline phones. Although businesses perpetually hunt for options that help them cut costs in areas of operation, they can leave that savings for other areas that are not as critical as a communication channel. Communication stands as a very important aspect of an organization’s structure and should not be risked at any cost. Although companies focus on saving money by reducing costs, using a mobile phone can cost even more later on, as frustrated customers who can’t discuss their issues clearly over cellphones pile up and force you to make amends. Swapping the landlines with cellphones could, therefore, backfire as a business decision. It might feel and sound archaic for you to bank on or get back to using landlines for office communication, but the fact is that their significance cannot be ignored in the this domain. 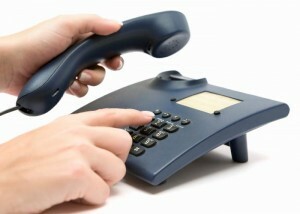 Landlines phones can offer a level of reliability and voice quality that simply cannot be matched by cell phones. Some businesses may be located in areas that do not provide for a strong signal reception or broadband access for mobile devices and in those cases, landlines undeniably stand as a strong contender. With organizations becoming increasingly aware of the unbeatable advantages of landline phones over cellphones, landline services are increasingly coming back in demand for their promising performance.